A teacher’s WordPress theme needs several things, including a portfolio section, a teacher profile display, a responsive design, and the numerous functionalities that come with an LMS. LMS (Learning Management System) is a crucial consideration for any of the 11 best WordPress themes for teachers. We will recommend a suitable plugin extension for any themes that do not feature a proprietary LMS. 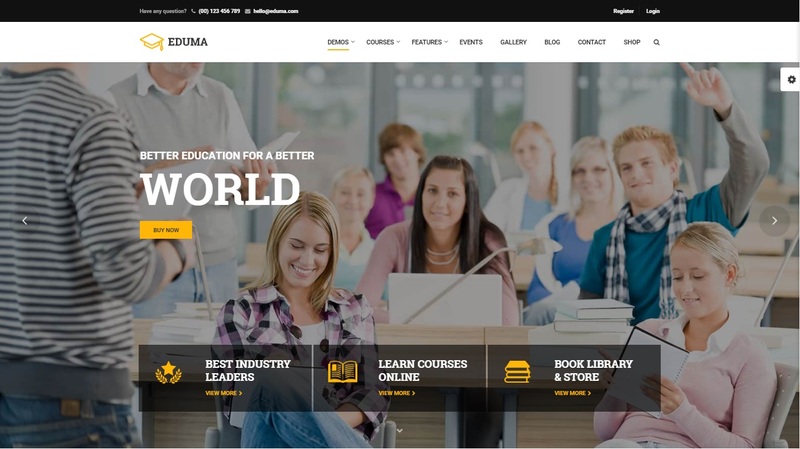 If you’re looking for a very high-end WordPress education theme for teachers and educational institutions, Education WordPress Theme is a solid pick. 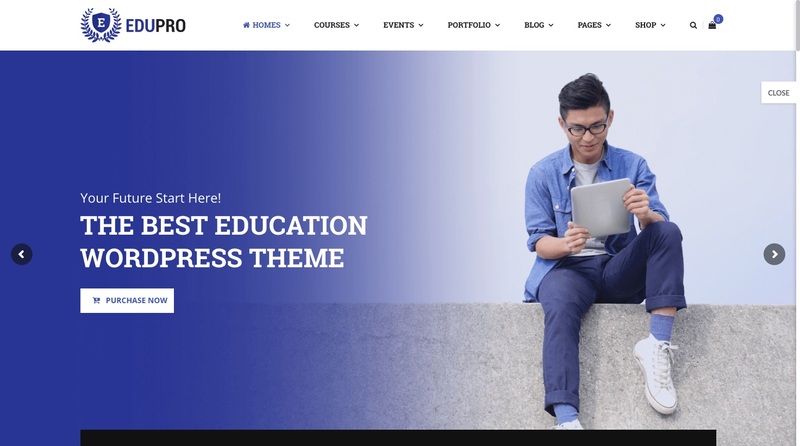 With a vibrant and engaging design aesthetic, Education WordPress theme offers a modern, refined, exciting interface for teachers and students, alike. What’s more, with ten or more different theme demos to choose from, users can one-click install their choice to have their site up and running in no time. As this theme requires an LMS plugin, we recommend the free LearnPress plugin. Without the LMS plugin, Education WordPress Theme will lack the bulk of functionality tools that make it a valuable theme for teachers. With the plugin, users can create and manage coursework, admissions, quizzes and tests, and more—directly from your WordPress website’s front end. In addition, this theme includes a responsive design with a wide range of functionality tools and specifications that make it one of the most versatile learning themes listed for teachers. LMS course management – units, lessons, quizzes, etc. Edupro provides a highly-functional and accessible user interface for teachers and students alike. This theme operates with the addition of another LMS plugin, such as LearnDash or LearnPress. Once integrated, EduPro offers a conclusive list of functions and tools to create an amazing website for colleges, universities, home schools, and private schools alike. One of EduPro’s greatest features is its online learning functionality. EduPro allows teachers to create assignments and proctor tests online, as well as compile and analyze student profiles and so much more. Instructors have the ability to upload assignments to be distributed on a set schedule over the semester or year, via the drip-feed content options. EduPro provides all of its usability functions necessary to facilitate the highest quality of online learning. 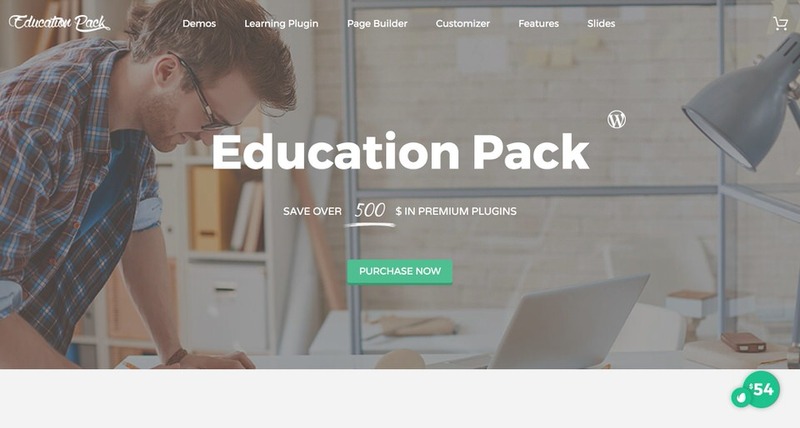 EduBiz is a highly-customizable WordPress theme for teachers and course creators of all kinds. EduBiz offers an easy-to-use interface system, both for users and visitors alike. With beautiful full-screen parallax sliders and galleries, EduBiz pulls in visitors through its eye-catching appearance. Perhaps a theme aimed more at e-commerce sellers, EduBiz includes full WooCommerce integration for buying and selling selected courses and coursework. Operating through PayPal, transactions are processed directly from a user’s WordPress website and documented for statistical analytics. As far as aesthetic design, users of EduBiz have complete control over every page element and layout design, with the powerful Visual Composer plugin. EduBiz provides a functionally and versatile website for educators, course creators, and teachers on WordPress. If you are looking for a beautiful WordPress theme that has a wealth of versatility, then Enfant might be exactly what you are looking for. This theme is perfect for early education and primary school teachers, as it is designed to radiate the warmth and play of childhood on every page. 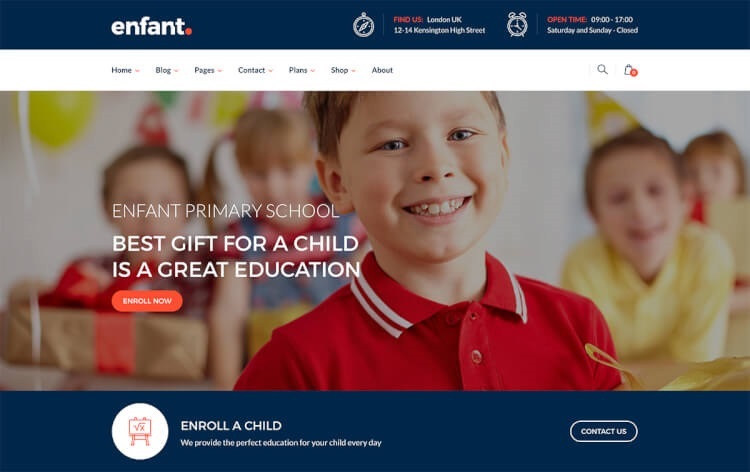 With a huge selection of front end page building features, Enfant is a great choice for beginners to WordPress website theme design. With the Visual Composer plugin, users can edit and customize everything—down to the button placement and border colors. E-commerce functionality is built into the design of Enfant, with full WooCommerce support for course sales and membership or class sales. In addition, if you don’t want to waste time creating your own page layouts, Enfant includes over 30 premade page templates. All the user has to do is simply import their content into the one-click import function and their site is off to the races. New Learning is a great WordPress theme for those who want a quick, easy setup and publishing process. This minimalist theme is beautifully and simply constructed to convey the essence of a user’s teachings and educational message. Don’t worry about all the bells and whistles since New Learning lets you create and publish a fully-professional education site in no time. New Learning is based on a Moodle website design and supports all of the core Moodle plugins, as well as WordPress. Its greatest strength is seen in its suite of shortcodes and over a thousand font icons. Users can use the custom page options panel to create unique pages or choose from a range of page templates for getting their website running as soon as possible. With a host of video tutorials, teachers of every background and skill level with WordPress will have an easy time working with the New Learning theme. For teachers, educators, and institutions in search of a WordPress theme that exudes a regal, refined quality, Education offers that which they seek. This theme requires the installation of the LearnDash LMS plugin, which offers a huge range of practical functionality. Create courses, edit assignments, collect and grade quizzes—all from this highly capable theme platform. In particular, Education excels in the ability for teachers to generate quizzes directly from the LMS. On top of that, Education fully supports WooCommerce and PayPal for simple and secure financial transactions from a user’s WordPress website. Another great benefit is the beautiful teacher portfolio options, which allow instructors to feature their previous accomplishments and that of their students in revolution sliders. Create a course curriculum and teach a class, all from the Education theme for WordPress. With teacher profiles, portfolios, upcoming event calendars, course creator tools and so much more, LearnCare is a highly suitable theme for high schools, primary schools, colleges, and universities. There are no limits to a user’s ability to create and customize their perfect profile page, portfolio gallery or any other element of this theme. It is truly a wonder of versatility. LearnCare enables users to create courses and coursework, which can be distributed and submitted directly from their WordPress website. Built on the Bootstrap 3 design, LearnCare comes with all the functions and elements that one could require for a modern educational website. 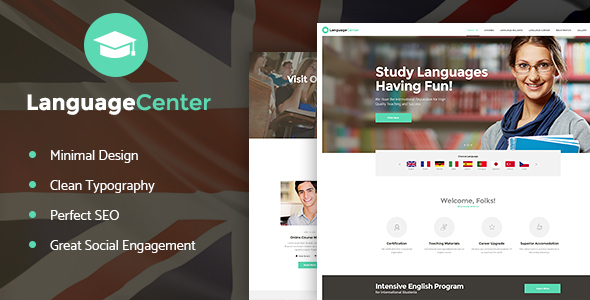 Choose from three homepage options, four gallery portfolios and numerous page templates for an about us page, events, courses and more. In addition, LearnCare features an event countdown timer widget to be displayed on any page that a user desires. 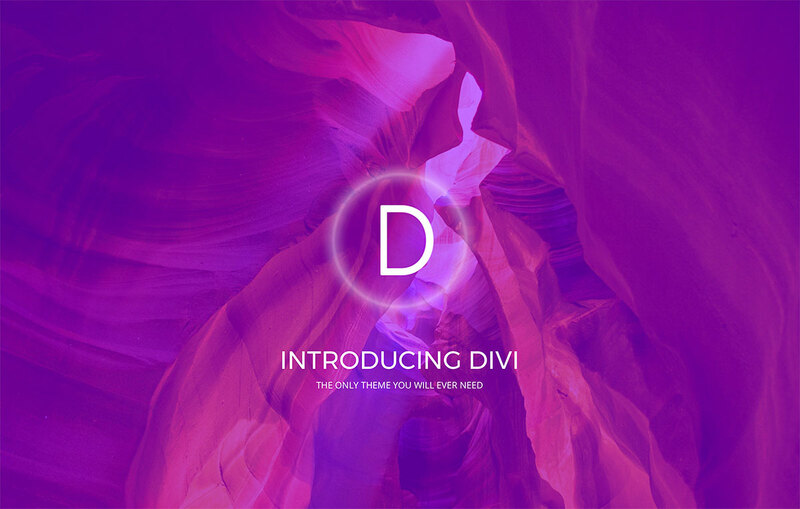 Divi has set the bar high amongst WordPress themes, on account of its industry-quality visual theme design functions. Divi 3.0 has gone back to redesign the framework of the Divi theme so as to ensure its relevance well into the future of software technology advancement. 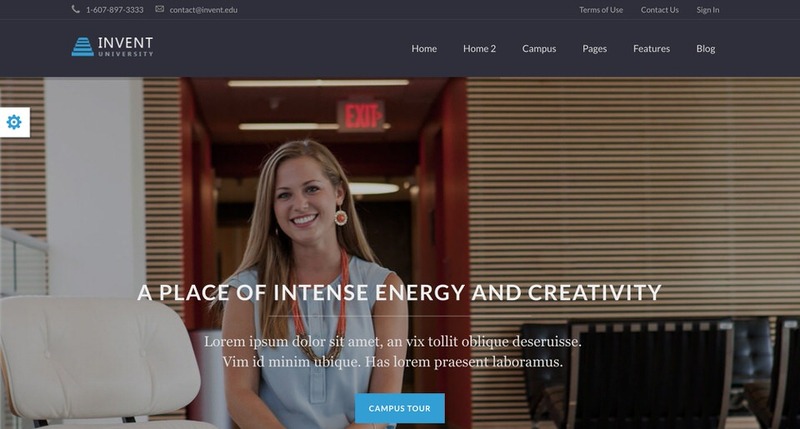 For users of any sort and teachers from any institution or background, Divi is a great WordPress theme. The Divi Builder is a drag-and-drop page composer plugin, which enables users to simply pick up and drop elements of their theme into any position desired at the click of a mouse. The Live previewer allows teachers to see what the result will look like even before their customizations are published—so as to avoid embarrassing errors and typos. A quick look at Divi’s included features will illustrate its immense page building value. Designed for learning of a higher level, Masterstudy is a usefully functional platform for postgraduate teachers and graduate professors to engage with students. This theme lets the student and the teacher communicate and interact in several venues. Of these, the most prominently highlighted is that of online learning. For teachers looking for a professional theme for public and private studies, Masterstudy is a great option. Masterstudy supports course ratings and teacher ratings, too. Therefore, be careful not to get on a student’s bad side! However, teachers can rate students as well. One of the best features of Masterstudy is the ability to conduct advertising monetization from a user’s WordPress website. And, no matter the design choice, Masterstudy will support full customization of every page element, through the Visual Composer plugin, which is included with the theme. As is true with many of the best WordPress themes, Masterstudy includes multiple sliders and parallax video background support for instant immersion on the part of viewers. It is impossible to get into all of the many features of Education Pack as it is one of the most diverse themes for WordPress teachers, in terms of educational venue versatility. With a front-end drag-and-drop page builder, as well as a backend page customizer admin panel, users have no limit on the unique creation of their website’s design. Dance teachers, math teachers, charter schools and every other kind of teacher can benefit from the design features of Education Pack. Unlike some other themes on our list, Education Pack includes a proprietary LMS—built into the themes structure. No need to go downloading any other WordPress plugin since every demo includes the Education Pack LMS. With 9 homepage demos and a wide range of free and paid add-on options, this is a theme without borders or limitations. In addition, it includes customized Visual Composer plugin add-ons, for increased efficiency in the design and construction of a user’s teaching platform. Let the genius that’s inside you run free with the Invent theme for WordPress. True to its name, Invent has been designed to implement several proprietary tools and systems for maximum LMS efficiency and productivity. For teachers who aren’t sure if they want to dabble with the Visual Composer plugin, Invent offers its own, custom drag-and-drop page builder plugin. Catering to higher education, small business, private tutors and individual consultants and agencies, Invent captures the minds of its viewers with elegance, organization, and a modern flare. Invent requires the LearnDash plugin for users that wish to form an online learning platform from the Invent theme. WordPress offers a perfect framework to display a teacher’s inventive and creative endeavors with their students, to which Invent is finely attuned. And, with 8 custom post types, over 1,500 icons, and a range of plugins and widgets, Invent is a great WordPress theme for teachers who like to think outside the box. Thanks for reading! Feel free to leave comments and questions and don’t forget to check out the theme demos listed below their features.